Nothing says “Spring” like an Easter Egg Hunt and an outdoor vendor fair! The Norris City Community Easter Egg Hunt was held Saturday at the United Methodist Church on Forrest Street. 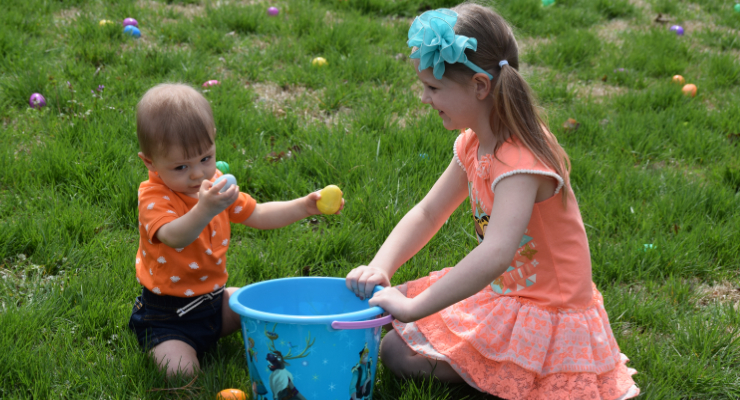 Jointly held with Learn Grow and Discover’s annual fundraiser for St. Jude’s Hospital, over 3000 eggs were available for the three age groups of children to gather up. There was candy in most of the eggs, but some of them contained $10 and $5 bills and some 50 cent pieces. Others contained a piece of paper announcing the finder had won a stuffed bunny or an Easter basket full of goodies. Conner Chappelle was the Easter bunny and his helper bunny was played by Colton Inboden. The eggs, candy and prizes were all donated. Vendors came from all over and were set up in the parking lot and in the basement of the church. Learn, Grow and Discover provided a “Taco in a Bag” lunch with a soda and a cookie. The lunch items were donated by Wonder Market, Danny and Carolyn Williams, Doug’s Food Mart, Casey’s, McDonald’s, Learn, Grow, and Discover, and the First United Methodist Church. A silent auction was held with items donated by the vendors.